If you’ve been trying online dating for some time now without any luck, you may be asking yourself, “Is online dating for me? 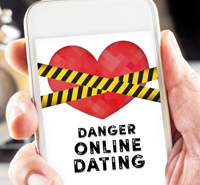 Are dating sites a waste of my time?" Before you delete your profile and toss your laptop aside, consider something first. Maybe you’re just going about it all wrong? Sometimes the best way to find love on dating sites is by taking a different approach to your dating life. Having an unorganized and scattered approached to online dating will definitely make you believe that dating sites are a waste of time. In fact, many singles tend to break up long before they meet in person because of disorganization. Luckily, there are ways to organize your dating life and manage it with your everyday life, and we have your answers right here. One of the main reasons that many people believe that online dating sites are a waste of time is because they don’t know how to properly utilize their time. It’s essential to set your priorities straight. Dating is more than just ‘hooking up’. It’s an investment on your love life and future. Look at your daily schedule and pick out times and points that are appropriate for you to indulge on your dating sites. Do you have more time in the morning or in the evening? Is your Friday evening more open than your Tuesday afternoon? Block out those specific free times and use that strictly for flirting, chatting, and meeting new people online. There’s no need to be online at all hours of the day, every day. A mistake many people make is mixing daily life with their dating life. Not only is this distracting from your regular life, but you won’t be able to commit yourself completely to your dating life. For instance, when you are at work commit yourself to work. Don’t be doing your job, while typing flirty emails or sending love texts to the girl you chatted with last night. Alternatively, don’t be balancing your checkbook or paying bills while chatting with your potential partner. In order for online dating to be successful, you need to concentrate on it. Focus your time and concentrate on your partner for that time you have allotted. It is fine to think about that special person a little while you are not together, but don’t allow it to rule your daily life. There’s nothing worse than never hearing back from someone you found interesting. When you’ve made a special connection with someone, don’t let it grow stale. 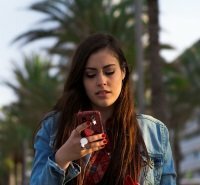 This is a serious issue as to why people feel dating sites are a waste of time—because connections suddenly go silent! 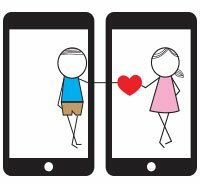 Many quality dating sites offer mobile apps that allow you to stay connected with potential partners. App options include sending quick flirts, chatting, and updating your status. You can also check in on your latest connection and send them a short message. You don’t have to stalk them, but sending them an “I’m thinking of you" message keeps the flame alive. Sometimes, two people just don’t mesh well together, no matter how hard you try to cultivate a relationship. It could be that he doesn’t understand your commitment to your job, or she’s very clingy and needy. When it comes down to situations such as this, it is honestly OK to break it off. Just because you break it off, doesn’t mean that online dating isn’t for you. There are plenty of singles available and online dating makes it easier to reach all those other single men and women. It’s healthy to recognize when a partner doesn’t respect you or resonate with your feelings. The point of online dating is to find someone you love and who loves you the same. That way your relationship will grow and flourish. 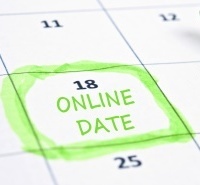 Ready to take your online dating, offline? Check out these tips for initiating a first date, - you’ll thank yourself later.